Trucker Tucker: Bursting at the seams? Ask yourself, when is the last time you treated yourself to a good meal? A lot of us are eating well – that comes down in part to better options in cafes – but when you are charged up to £3 for two bottles of water at some services on the road, you get stumped between eating healthy and perhaps not eating at all. There’s also the challenge of fitting in the 150 minutes of exercise a week recommended by NHS guidelines, around working hours, seeing the family and actually having some rest. Life on the road for a hungry trucker is no easy feat; in fact, it’s a penny-pinching tiresome challenge…with squats, if you’re really good. To help with this quandary, we turned to ‘trucker tucker’ experts Tasty Bites – famed for daily roast carveries and, more recently, an explosion of monster muffins. With knives at the ready, the team took on the challenge of making healthy eating a little easier. With a whopping eight options for dessert on the original menu, it was time to trim down and deliver a menu worthy of those stretching their cab-weary legs. Not only updating our selection, the Tasty Bites team also wanted to provide a more nutritiously delicious choice mixed with a little fitness in mind. What happened was a menu with old favourites, new favourites and workouts. The new run and walk routes at PJM Lorry Park were part of the new menu inspiration, giving drivers the chance to walk or run off their hearty meals. 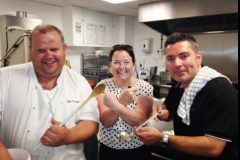 However, Tanya, Pete and Paul were very careful not to change too much from the winning formula of their roast carvery, instead simply removing what their drivers didn’t eat and replacing it with even more tasty meals worth tucking into. And, you don’t need to run or crawl 5k to eat one of Tasty Bites lighter bites. A favourite from the new menu has to be the ‘Wrap it Up, Fill A Pitta’, which was conjured up by Tanya and Pete to offer more choice. Their best-seller core filling of Cajun chicken with mint yoghurt can be wrapped up, stuffed in a pitta or eaten as part of a big beastie salad. The choice is yours. You might not know it but hearty meals are healthy too. 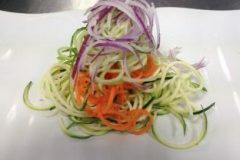 Tanya added: “Healthy meals have always been on the menu so we didn’t need to change much – we’ve just made it clearer. 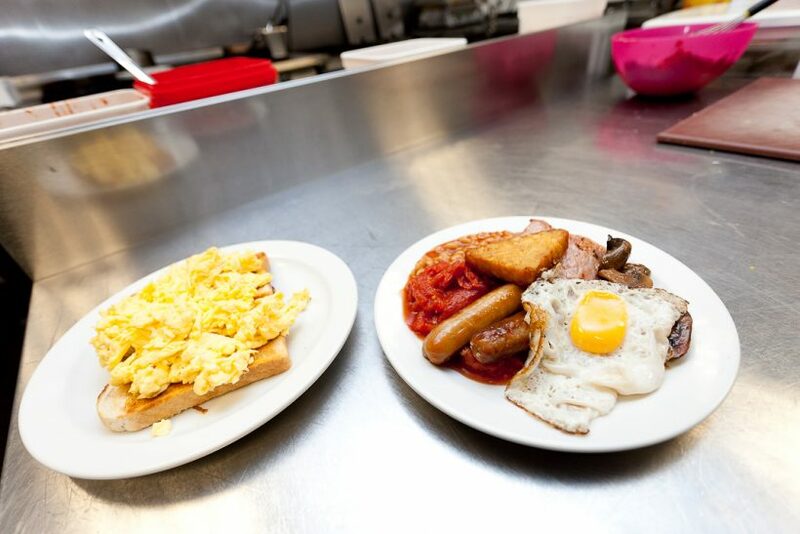 A poached egg on toast is a great choice, and so is our roast carvery stuffed with protein and veg. This is great for before and after exercise with lots of slow releasing energy – perfect if you want to do some light exercise. Add a smattering of fruit not just for sweetness as the water in fruit will keep you hydrated! Or simply just try our new porridge with honey and banana for a warming breakfast. Chicken is a great source of protein, and is the perfect fuel for exercise. The addition of vegetables replaces lost minerals through sweat, as well as topping up your vitamins! A good slice of chunky wholemeal is just what you need as it’s easy on the stomach. It’s also got complex carbs – no, we didn’t think toast was complex either – but all you need to know is that it will keep you steady on energy and therefore a good pre-exercise nibble. Sports drinks are great if you are a slave to the treadmill but for light exercise water is more than adequate and is essential to fitness. A properly hydrated body will be better equipped to perform. But remember, leave an hour before any exercise otherwise regardless what you eat, running around straight after a meal will make you feel uncomfortable and, worse, you won’t get the best performance.